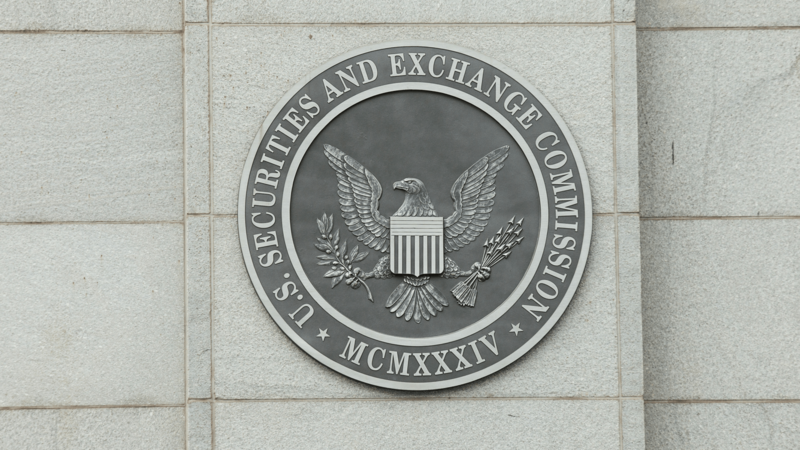 The Security and Exchange Commission (SEC) recently decided to postpone its decision on the VanEck/SolidX ETF application. Gabor Gurbacs, director and digital asset strategist at VanEck, took to Twitter to express his opinion on the matter. Unsurprisingly, he was not exactly content about the SEC’s hesitation to finally approve the ETF application, which was thoroughly discussed in late November by all parties. But what really frustrated Gurbacs was a completely different development. 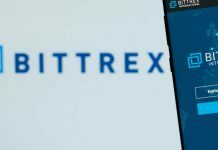 Specifically, that Coinbase, one of the biggest crypto exchanges on the market which is considering adding more than 30 new coins, decided to list Civic (CVC), district0x (DNT), Loom Network (LOOM) and Decentraland (MANA) on its Pro trading platform. Apparently, Gurbacs does not think highly of them — he also likes to use Arthur Haye’s type of language. 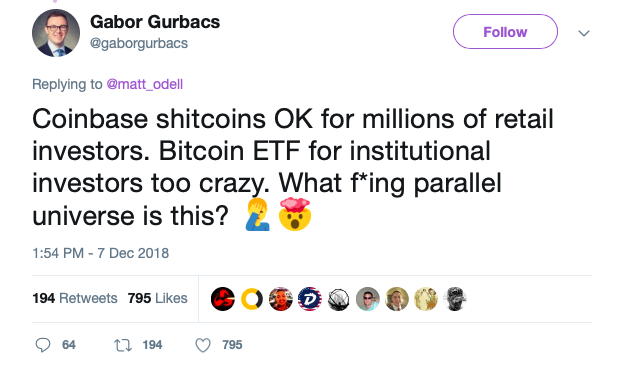 Thus, in his tweet, Gurbacs described the four simply as “shitcoins.” He also accused regulators of embracing double standards by approving “shitcoins” while rejecting solid ETF proposals. “What f*ing parallel universe is this?” he rhetorically concluded the tweet. His outburst, in turn, sparked multiple comments from the community. Some, like @psycho__sage chose to blame the SEC which is allegedly working for the rich. 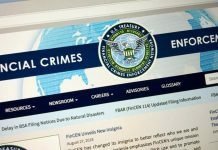 Others, for example, @Crypto_Macro, noted that the mentioned “shitcoins” are not under the umbrella of the SEC without specifying which agency is responsible for the decision. Other tweets were leaning toward a conspiracy-like explanation of an unnamed superior entity waiting for the right moment to rip off the investors to the full. It should be noted that Gurbacs is not the only one who is critical of the four recently added coins. The head analyst of The Block (of Diar Research Fame) Larry Cermak bluntly qualified them as zombie projects. Yet Gurbacs took the regulators’ decision far more personally. 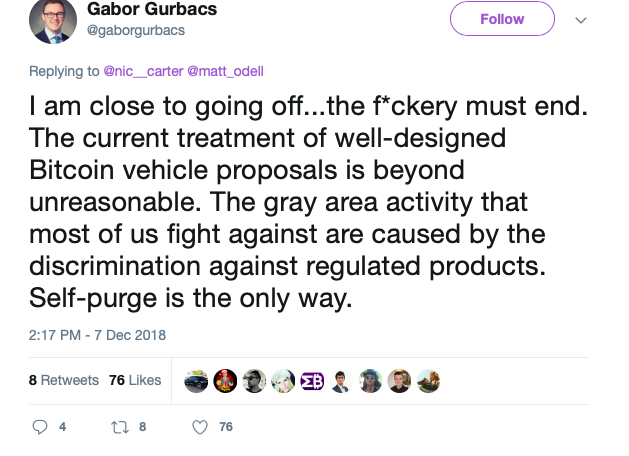 Judging by his tone their stance is pushing him to reconsider the whole matter in principle, as “the current treatment of well-designed Bitcoin vehicle proposals is beyond unreasonable.” “Self-purge” is apparently the only remedy. Leaving aside grudges and conspiracies, there is undoubtedly a feeling that the SEC is delaying the ETF decision for unclear reasons. On the one hand, its line of reasoning makes sense: it is primarily afraid that BTC is susceptible to manipulation. In his recent interview, Jay Clayton, SEC’s Chairman, once again emphasized that safeguards against manipulations don’t exist in many of the markets where digital currencies trade. A fair statement, especially since the current crypto market continues to suffer from high volatility and security breaches. On the other hand, the SEC does not clarify what specific changes it is looking for. Simply stating that the market needs more surveillance and custody measures is clear for all players. 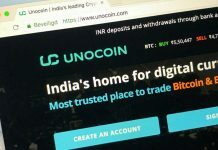 This is why Binance, for example, has recently partnered with Chainanalysis to fight crypto violations while prominent Wall Street companies like Goldman Sachs invested in the U.S. crypto custody service BitGo. 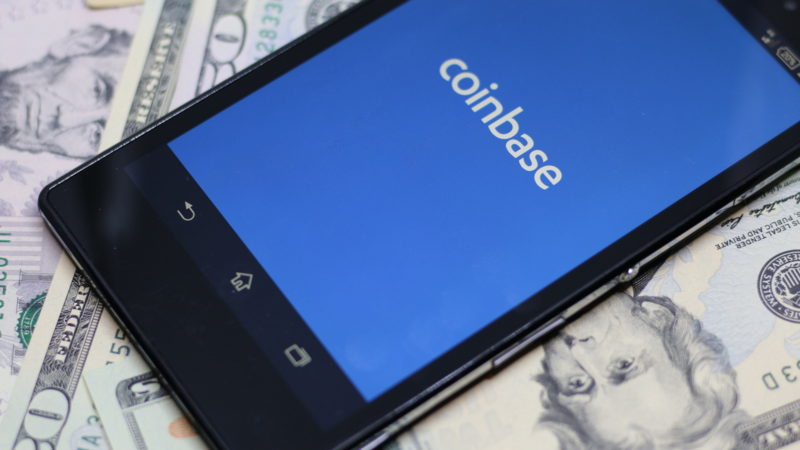 The mentioned Coinbase launched its Coinbase Custody service back in July. Besides, the fact that the crypto market is here to stay is also blatantly obvious, as new crypto and blockchain initiatives are being introduced all the time around the world. Countries like Switzerland have even approved the first ETF in the world this November. Therefore, the SEC cannot be thinking that it will fade overnight allowing the agency to forget about the thing altogther. Thus, what is it that the SEC is after? Has it made some cryptic calculations of a market bottom free from manipulation? Does it really believe that the fiat market is never subject to ill intent? And why does it, or its partner agencies, believe that dodgy altcoins with a small cap are a safer investment than the established BTC? To sum up, it is not solely a matter of the approach’s consistency which Gurbacs brings up in his tweet. The SEC, as well as other regulators, are indeed exhibiting a rather bizarre behavior. This bizarreness, in turn, feeds different conspiracy theories of evil bankers driving the market to the bottom first and only then perhaps introducing an ETF. To be fair, this is not the first time the SEC behaves in such a strange manner: Back in July Clayton happily stated in an interview with CNBC that cryptocurrencies are “securities just like any out there.”It took solely a week for the SEC to announce that BTC and Ethereum are not securities. Gurbacs might find this fluctuating stance rather comforting. After all, the SEC has yet to make its final — and highly unpredictable — decision on February 27th at latest. In either case, if an ETF is “definitely possible in the future,” like SEC’s Commissioner, Hester Peirce, recently noted, then it is high time it detailedly explained what that future should look like in specific detail.